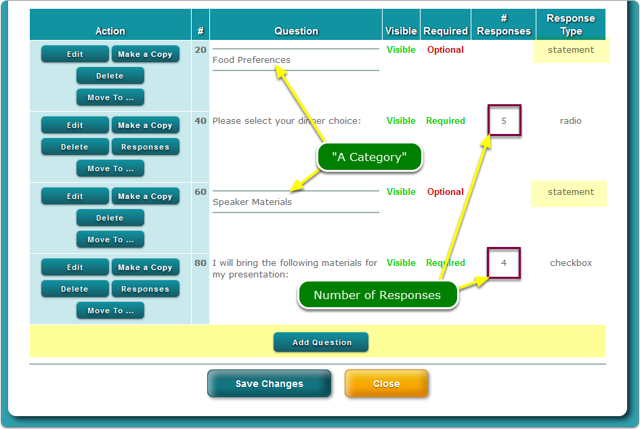 Help Documents - Version 5 Add QuestionsHow do I categorize questions? Why would I do this? If you have many questions that span a few topics, categorizing your questions will present your questions in organized groups that will be easier for the registrant to respond. 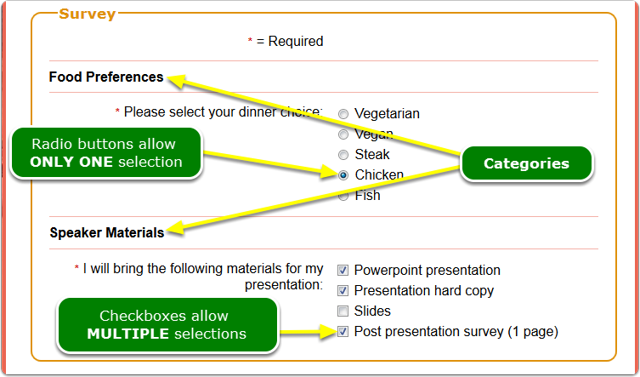 You can add many questions to a category - no limits. 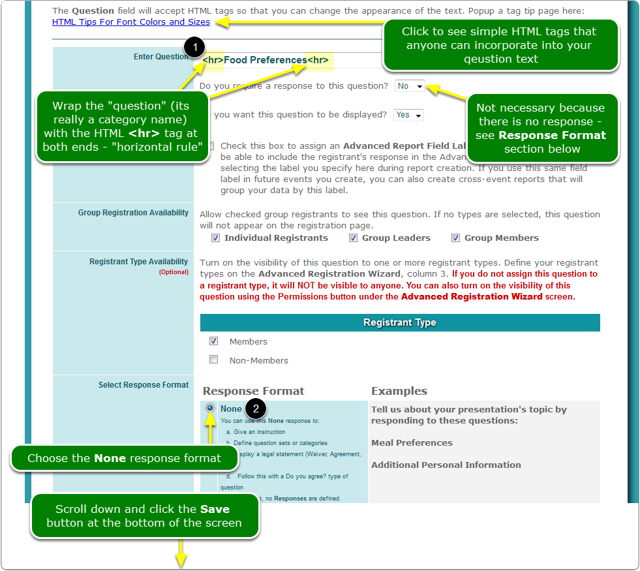 What do categorized questions look like on the registration page? 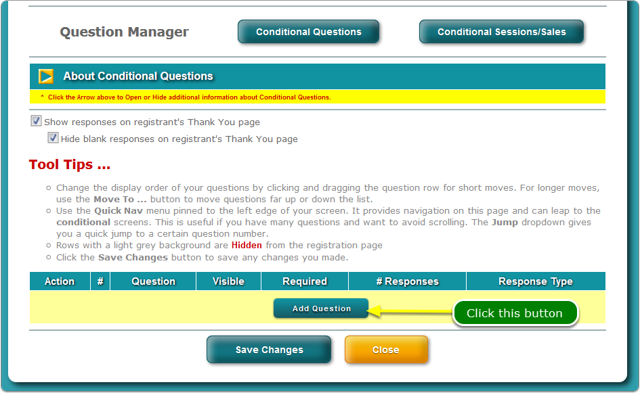 Prev: How do I change the display order of questions on the registration page? Next: How do I set up Conditional Questions?